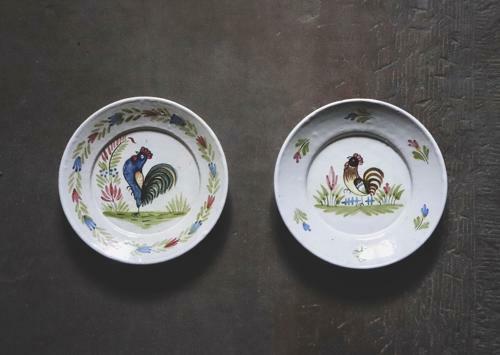 Attractive pair of plates - one with a cockerel and the other with a hen. Possibly French. No markings on the back.